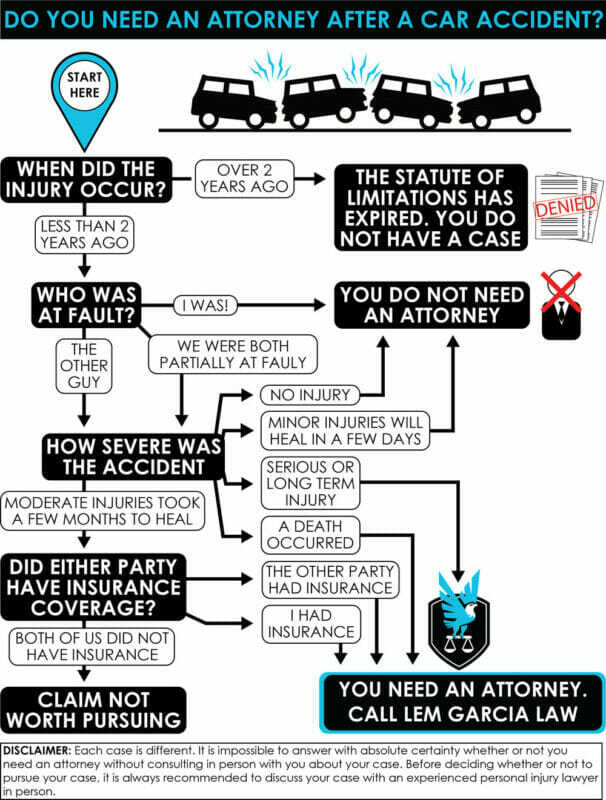 You don’t need to have an attorney represent you after an accident, but you probably should. While it is true that an attorney will charge you a percentage of your recovery, your recovery will most likely be much more when you have a personal injury attorney represent you. You are absolutely allowed to handle your case on your own, but unless you are a personal injury attorney, you do not have the experience and knowledge to maximize your recovery. Furthermore, you do not pose a threat against the insurance company. If you do not like what the insurance company is offering you for your car accident, you do not pose much of a threat to them because you most likely are not going to file a lawsuit against their insured and pursue it vigorously. As a result, the insurance company can offer you much less than the case is worth and if you are opposed to hiring an attorney or pursuing the case yourself by filing a lawsuit, you will have to settle for what they are offering you. Experienced personal injury attorneys pose a large threat to the insurance company because they an attorney can and will file a lawsuit against their insured and force them to hire attorney(s) of their own and pay more than what they are willing to offer initially. In some cases, especially if you were not injured, you may not need an attorney. In many cases, the insurance company will pay you fairly for your damaged car, but not for your injuries. Generally, insurance companies are not very willing in paying people for all of their medical bills and pain and suffering. If you’re injured, you should absolutely have an attorney advocating for you. West Covina car accident lawyer, Lem Garcia, can help you if you are looking for some assistance after a car accident. Case consultations are always free. It’s always a good idea to be better safe than sorry. 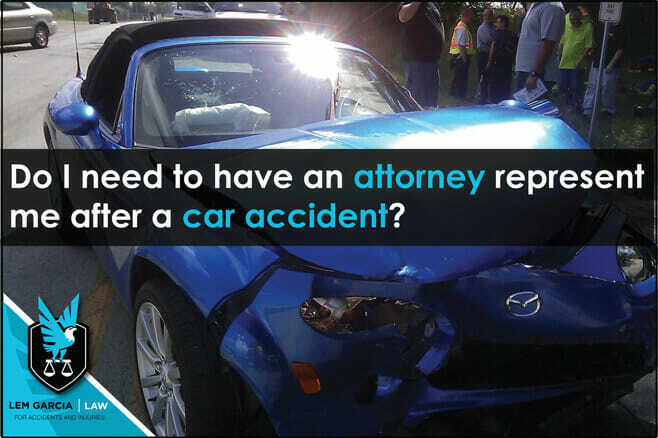 After a car accident, talk to an attorney that is happy to make sure that you make an informed decision. If we think that you do not have a case worth pursuing or one that is best that you handle on your own, we will let you know.